“The Mendoza Line,” a new independent film starring Santa Rosa comedian and actor Juan Carlos Arenas, will screen at 8 p.m. April 25 at the Roxy Stadium 14 in Santa Rosa. The screening will be followed by a question-and-answer session with Arenas and the film’s writer and director, Nathan Kaufman of Sacramento. In the film, Arenas plays Ricardo Perez, a hopeful minor-league baseball player who is in the United States without legal documentation. Arenas, a 35-year-old winery construction worker, was born in Mexico and grew up Santa Rosa. 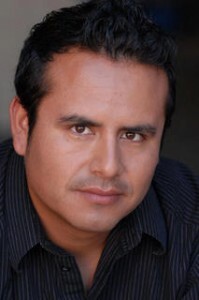 He studied theater at Santa Rosa Junior College before going on to appear in television commercials. He previously appeared in a small role as a chef in the 2012 independent movie “Trattoria,” which was filmed in San Francisco. “Mendoza Line” was filmed last year in Marysville, and will be shown May 7 at the Sacramento International Film Festival. Arenas has organized and performed at several series of live comedy shows in Sonoma County, and continues to act as host of monthly comedy nights at the Guayaki Yerba Mate Cafe in Sebastopol. For information on the “Mendoza Line” screening: 522-0330, sregmovies.com.